Maybe they are gonna build a planetarian there? So anyways, Yumemi recites the invitation a lot over the entire story, even in the drama CDs. Some may say it’s a little annoying, but I think this repetition is intentional to emphasize the meaning behind these scenes. Her attitude, her message, and even the music all tell us about Yumemi and what she stands for, and Suzumoto wants to make this abundantly clear. So first let’s talk about her attitude. Yumemi takes great pride in inviting people, even when there’s no one to invite. She joyfully practices this speech even when there’s no scheduled projections because of repairs on Jena. This is kind of paradoxical because it assures us of both her human and robotic nature. She’s robotic in that she continues to do the same thing over and over again. But she’s also human in that she’s “practicing.” She can’t be viewed as purely robot or human. This hymn highlights the differences between knowing Jesus and not knowing him. There’s peace, encouragement, protection, promises, and of course, the friendship provided to those who accept Jesus as Lord. There’s… a lot here that I would definitely love to talk about another time or if you message me but for the time being, we can apply these attributes to Yumemi’s character as she invites all who hear to become a friend. Although it may not be immediately obvious, Yumemi can be associated with peace, especially during the light bulb CG. Then, she also acts as a force of encouragement for Junker and (in Snow Globe) her co-workers long ago. At the end, she protects the Junker from certain death by distracting the fiddler crab and taking bullets for him. Yumemi can be associated with promises just by thinking about how she talks about the laws of robotics but another could be (Hoshi no Hito) when both are faithful to their promises as she greets him with a real bouquet after the Junker’s death. Lastly, throughout the entire novel you can see the friendship between the two develop as the Junker learns to cherish her more and more. All of these things are only revealed later on in the story. They only become apparent in the chapters after the Junker decides to stay with Yumemi, and after she has recited her invitation to him. Finally let’s talk about the message. “Why don’t you come to the planetarium? The beautiful twinkling of eternity that will never fade no matter what. All the stars in the sky are waiting for you.” Again, the first sentence defines this message as an invitation to come to the planetarium. But why should someone come? Because there is something more, something spectacular and beautiful that awaits them that they would not be able to see elsewhere. Not only that though, but this twinkling of eternity will never fade. There’s permanence here. If the stars symbolize a greater hope, say, the gospel of Jesus Christ, it makes sense - this eternity is just like the promise of eternal life with him. Finally, this last sentence: the stars are waiting. The hope is waiting for you to reach out and grab it. This is Yumemi’s wish—that you, dear reader, would see and remember the starry sky you have seen. Even if it’s obscured temporarily, this faithful friend wishes that you may live knowing the beauty of what is unseen. 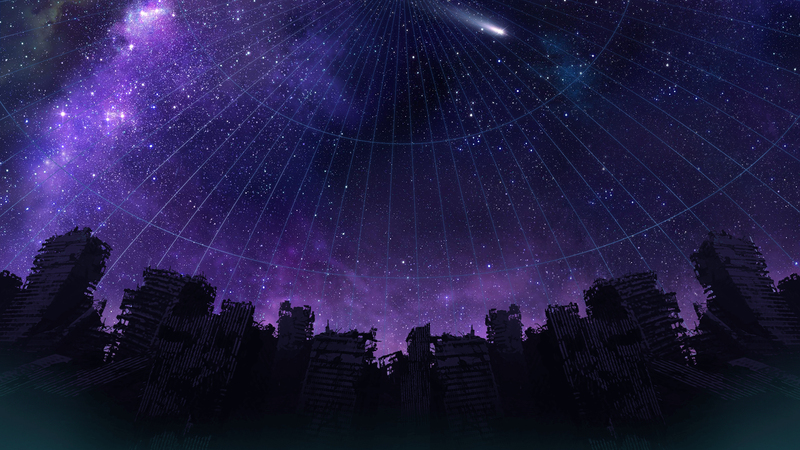 As we have seen here, many of Yumemi’s goals and personality traits are made apparent by the various elements of her invitation to the planetarium. It’s also important to remember that Yumemi’s invitation was not only to know the stars but to know her as a friend too. What a friend we have in Yumemi, right? Well, although she isn’t quite real, I believe that there is one who does even more than Yumemi and is real. With today being Easter Sunday, you all already know who I’m talking about (if not see my other planetarian posts). But I’ll have to end this post here because this next post works better in a different topic.